You can call Kasos a barren rock of an island — hidden someplace in the sparkling seas between Crete and Karpathos. Find it and you’ll discover the charms and deep history of this southernmost Dodecanese island; a place that bears an exciting history of dueling pirates and adventurous sea captains. 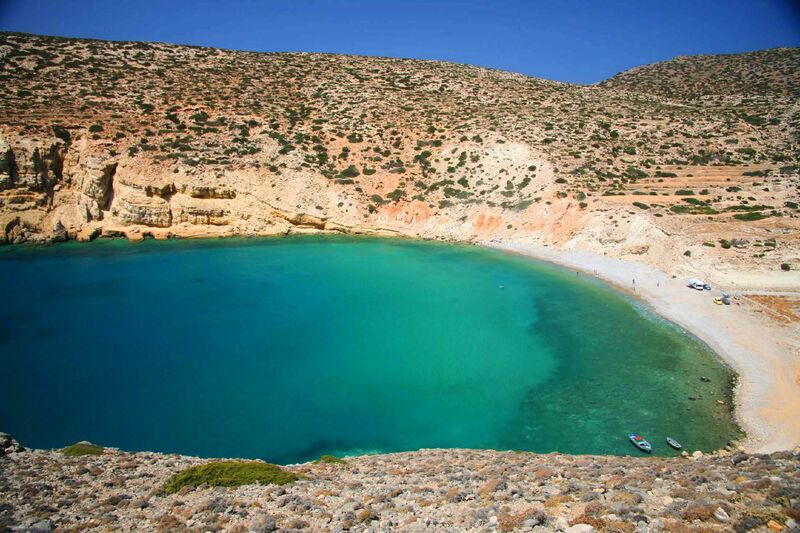 By the Greek Revolution of 1821, this little island’s naval fleet proudly fought in the war. Their fierce participation and skill helped gain victory and independence from the Turks by 1824. History aside, the sheer beauty of this rugged island is irresistible in modern times; a place where hiking paths criss-cross each other so you can stumble upon some surprisingly stunning panoramic views. 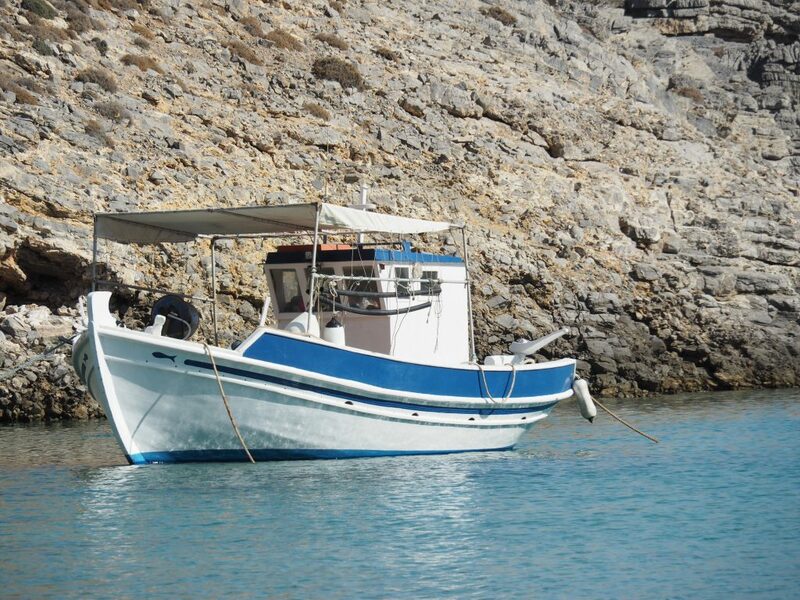 Out at sea, boats can be rented to explore the corners that ring the island itself: secluded beaches, sea caves and picturesque rocky shores. Several picturesque Kasiot villages dot the isle, each owning their individual character. Fry is the main town of Kasos, the proud home of the island’s Bouka port which dates back two centuries and was even once a pirate hangout. Today you can see local fishermen go about their daily lives reeling in fresh catches of the day. In Fry, also visit the Church of Aghios Spyridonas and admire its ornate bell tower. Have a leisurely stroll through the largest village in Kasos named Agia Marina. 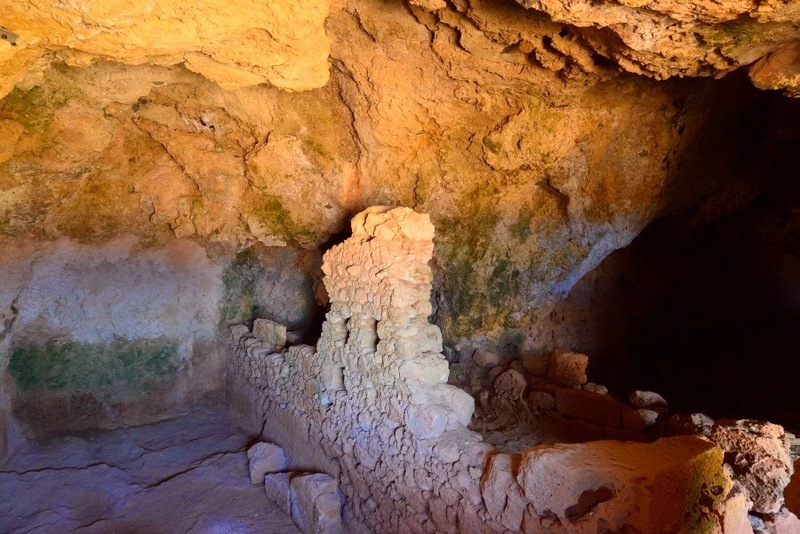 There, you can explore the Ellinokamara cave which was used as a worshipping site back in ancient Greek times and later on the cave took on a role as a secret escape from pirate invasions. Known for its statuesque and stately homes, Panaghia is a wonder of a Greek island town to get “lost” in. You’ll be stunned at the architecture including imposing archaic-style columns and intricately carved wooden doors. The churches are some of the finest example of Byzantine architecture in the Greek island. On the northern coast, next to Fry, you can find the only organized beach called Emboreio, which has sun loungers and eateries. The rest of the beaches are wild wonders. From Emboreio, take an adventurous little excursion by boat to visit the uninhabited island of nearby Armathia – a destination of what some describe as a tropical Cycladic landscape thanks to its swirl of amazingly blue-green waters. The secret to the colors of the isle? Its subsoil is rich with one of the finest types of plaster. In fact, the area once buzzed with plaster quarries in the 20th century. On the west coast is the sandy Ammoua beach. Next to Ammoua, there is pretty Antiperatos which is a series of secluded pebbly beach shores that sparkle with blue inviting waters. On the south coast, enjoy a refreshing swim at Helatro. Massive rocks embrace this beach, a picturesque bay with clear waters. Artefacts from the ancient Minoan times were uncovered here coining its interesting nickname: Minoan port. For a barren island, it is amazing what Kasos can produce. This has to do with how Kasiots have “met” the world as a result of its roving naval influence throughout time. Today, the cuisine is rich and influenced. 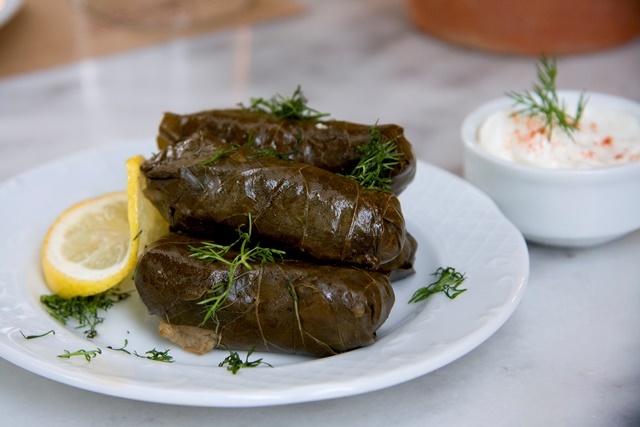 Local specialties like Kasiot dolmadakia stuffed vine leaves and mouth-watering makarounes handmade pasta served with roasted onions can be found on the menus of local tavernas. Of course, seafood is special here too. The soupiopilafo, a pasta dish with squid, is a classic island favorite. The dairy products of Kassos are a delight. A local butter known as kaouli is a fine local product. In Aghia Marina, the Vonaparti family exports their fine local cheeses all over Greece. When it comes to the sweet side of Kasiot’s culinary delights, be on the lookout for kouloures, crispy double baked roles perfect with a cup of tea or coffee. 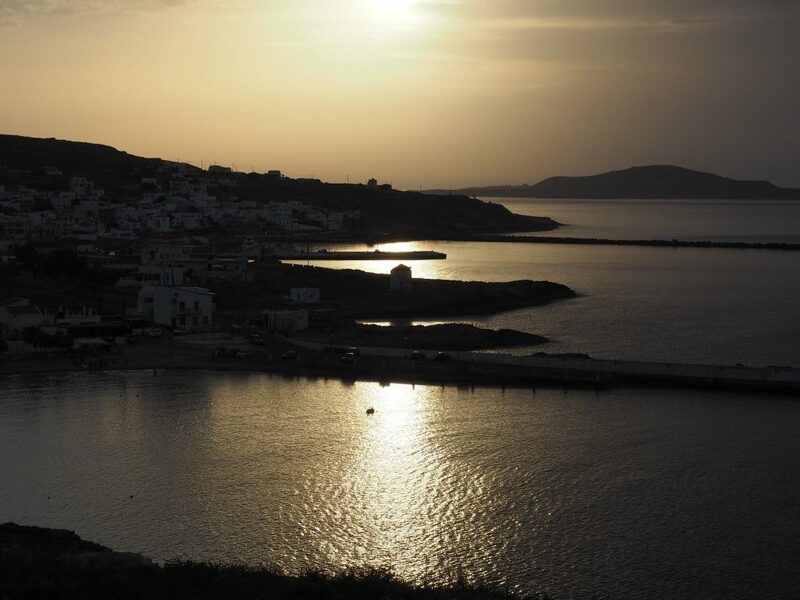 If you enjoyed reading about the hidden island highlights of Kasos, be sure to check out our previous hidden island spotlight about the island of Kythera. 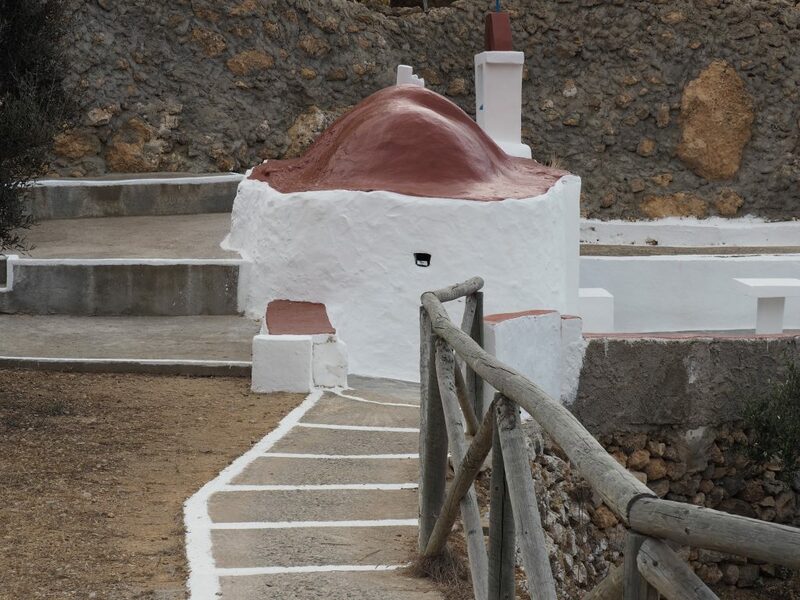 Would you add any experiences to our hidden island spotlight about Kasos?